The two-disc edition of The Phantom of the Opera has two major extras. 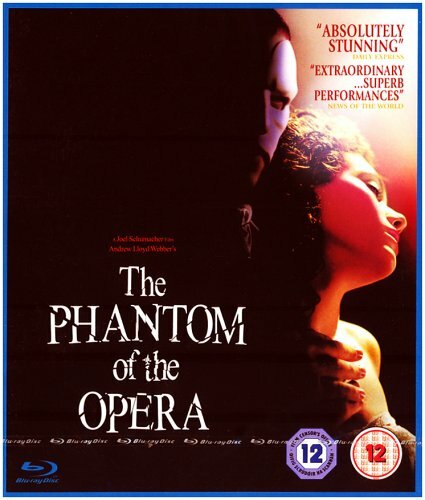 "Behind the Mask: The Story of The Phantom of the Opera" is an hourlong documentary tracing the genesis of the stage show, with interviews by composer Andrew Lloyd Webber, director Harold Prince, producer Cameron Macintosh, lyricists Richard Stilgoe and Charles Hart, choreographer Gillian Lynne, and others. Conspicuously absent are stars Sarah Brightman and Michael Crawford. Both do appear in video clips, including Brightman performing with Colm Wilkinson at an early workshop, and Crawford is the subject of a casting segment. Other brief scenes from the show are represented by a 2001 production. The other major feature is the 45-minute making-of focusing on the movie, including casting and the selection of director Joel Schumacher Both are well-done productions by Lloyd Webber's Really Useful Group. Important note: Initial playback of this DVD defaults to the DTS (Digital Theatre System) soundtrack, therefore customers without such equipment will not hear any sound. Please note that this is NOT a fault with the DVD. If you are not in possession of a DTS compatible sound amplifier, you need to change the film's soundtrack type from the main menu. 1. Click the "set-up" option. 2. Select either Dolby Digital Surround Sound or Dolby Digital Stereo as appropriate. 3. Select "Play Movie". The film will now play with a universal audible soundtrack.